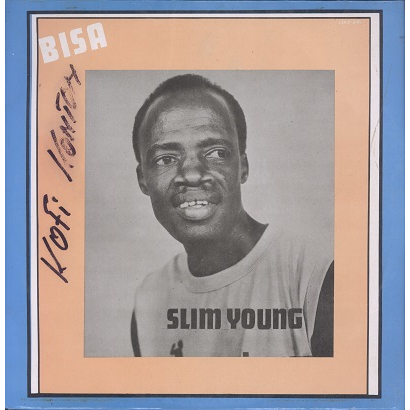 Rare Afro-Synth Highlife album by Nigerian guitarist Slim Young. Sleeve looks almost EX except for large marker writings on front. VG labels with marker writings. Record doesn't look too bad but it plays with surface noise and some impacts are noticeable on first track of each side. Still an enjoyable copy!